Sultan Palace Hotel would be happy to plan the best alternatives for you during your stay in our historic city. Just tell us a little about yourself and we will help you to get most from your Istanbul visit. We would be more than happy to answer all of your questions and offer you helpful suggestions to eat, see, and enjoy all during your stay in our breathtaking city. Local Eateries, Trendy Night Clubs, Historical Monuments, Religious and Private tours, Hospitals, Libraries, or Museums … Istanbul is just outside our front door…. The Sokollu Mehmet Pasha Mosque was designed by Ottoman imperial architect Mimar Sinan for Grand Vizier Sokollu Mehmet Pasha (husband of one of the granddaughters of Sultan Suleiman the Magnificent, Princess Esmahan. Its building took place from 1571 to 1572. The mosque is officially named after Princess Esmahan, but is more commonly known for its association with her far more famous husband. Grand Bazaar Distance : 10 min. During the Byzantine period the area of the Grand Bazaar was a trade center. After the Turks came to Istanbul, two bedestens which formed the essence of today's Grand Bazaar were built between 1455-1461 by Sultan Mehmet the Conqueror in an attempt to enrich the economic life in the city. Later on as people needed more places for their trade, they also added parts outside these bedestens. In time the Grand Bazaar was formed. Topkapi Palace Distance : 10 min. St. Sophia Museum Distance : 10 min. 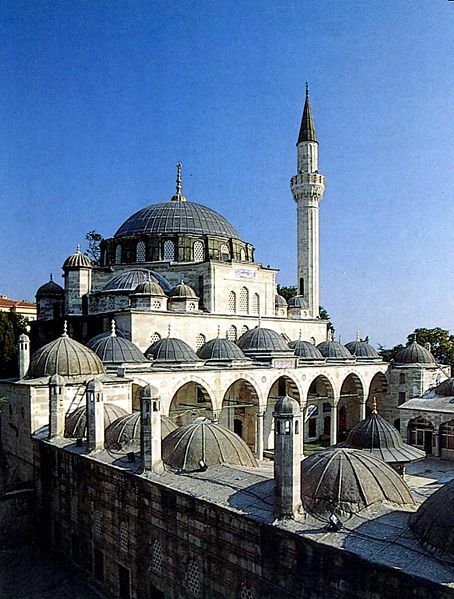 The Basilica of St. Sophia, now called the Ayasofya Museum; is unquestionably one ot the finest buildings of all time. Built by Constantine the Great and reconstructed by Justinian in the 6th century, its immense dome rises 55 meters above the ground and its diameter spans 31 meters. You should linger here to absorb the building's majestic serenity and to admire the fine Byzantine mosaics. (Open every day except Monday.) This huge, brick-colored building standing at the southern size of the square was built in the 6th century..
Blue Mosque Distance : 15 min. Underground Cistern Distance : 15 min. Suleymaniye Mosque Distance : 30 min. Galata Tower Distance : 25 min. Kariye Museum ( St.Saviour in Chora ) Distance : 20 min. Golden Horn Distance : 20 min. Spice Bazaar (Egyptian Bazaar) Distance : 10 min. Dolmabahce Palace Distance : 50 min. The Archeology Museum Distance : 15 min. The Obelisks Distance : 15 min. Aquadect of Valens Distance : 3 min. The construction was begun by Constantine I and completed 378 A.D during the reign of the Emperor Valens. It links the third and fourth hills and brought water from Alibeykoy to the Nympheum. Beyoglu near Taksim Square is a part of the heart of Istanbul, it's a great way to get way from the old city and enjoy modern Istanbul as the locals do. There is so much going on in the approximately 2,5 kilometers long street between the Tunnel funicular stop near Galata Tower and Taksim Square that you can spend a whole day here. You can find a brief of Istanbul in every corner, there is a hidden story of the city everywhere. Religions, languages and ethnic groups live brotherly around these premises, it's the center of art and culture, many national, international and local activities reach art lovers through the neighborhood.Beyoglu is a residential area consisting of 45 districts and about 225,000 residents, but the daily population reaches up to a million being the center of commerce, entertainment and culture. It's one of the most important tourist points and one of the most famous avenues of the city, the distinguished brands of business and entertainment world serves in this area as well. Many exquisite boutiques, music and bookstores, libraries, art galleries, cinemas, theaters, cafes, bars, restaurants, pubs, coffee houses, patisseries, chocolateries, and technological centers are lined on Istiklal Street.Beyoglu has a large number of foreigners of all nationalities living in this neighborhood. The area is also home to significant Turkish Christian and Jewish communities, there are several churches and synagogues. The Princes' Islands (Turkish: Prens Adaları [Prince Islands] or more commonly Kızıl Adalar [Red Islands] or just Adalar as they are officially named; classical Greek: Πριγκήπων νήσοι Prinkēpōn nēsoi, modern Greek: τα Πριγκηπόνησα ta Prinkiponisa or Πριγκηπονήσια Prinkiponisia), are a chain of nine islands off the coast of Istanbul, Turkey, in the Sea of Marmara. They consist of four larger islands, Büyükada (meaning "Large Island"; Greek: Πρίγκηπο(ς), Prinkipo(s), from πρίγκιπας meaning "prince") with an area of 5.46 km2 (2.11 sq mi), Heybeliada (meaning "Saddlebag Island"; Greek: Χάλκη Halki) with an area of 2.4 km2 (0.93 sq mi), Burgazada (Greek: Αντιγόνη Antigoni, the name of a mythological figure) with an area of 1.5 km2 (0.58 sq mi), Kınalıada (meaning "Henna Island"; Greek: Πρώτη Proti, meaning "First", being the closest island to Istanbul) with an area of 1.3 km2 (0.50 sq mi), and five much smaller ones, Sedef Adası (meaning "Mother-of-Pearl Island"; classical Greek Τερέβινθος Terebinthos and modern Greek: Αντιρόβυθος Antirovithos) with an area of 0.157 km2 (0.061 sq mi), Yassıada (meaning "Flat Island"; Greek: Πλάτη Plati) with an area of 0.05 km2 (0.019 sq mi), Sivriada (meaning "Sharp Island"; Greek: Οξειά Oxeia meaning the same) with an area of 0.05 km2 (0.019 sq mi), Kaşık Island (Turkish: Kaşık Adası, "Spoon Island", named for its shape; Greek Πίτα Pita) with an area of 0.006 km2 (0.0023 sq mi), and Tavşanadası (meaning "Rabbit Island"; Greek Νέανδρος Neandros, the name of a mythological figure) with an area of 0.004 km2 (0.0015 sq mi). 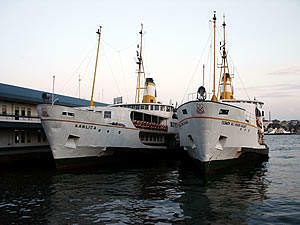 The islands also constitute the Adalar District ("Island district") of Istanbul Province. KADIKÖY Distance : 1 Hour. Further down to the south along, the Istanbul strait towards the Marmara sea, Kadiköy has developed into a lively area with up-market shopping, eating and entertainment making it popular especially with wealthy locals. Once prominent in the history of Christianity, the 5th century hosted important consul meetings here, but there are few reminders of that age. It is one of the improved districts of Istanbul over the last century, and fashionable area to promenade along the waterfront in the evenings, especially around the marinas and yacht clubs. 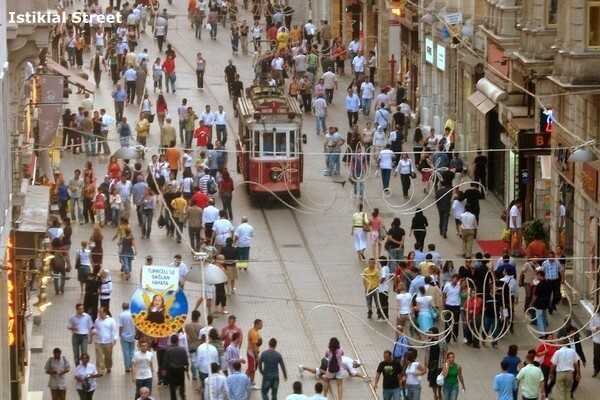 Bagdat Caddesi is one of the most trendy - and label-conscious - fashion shopping streets, and for more down-to-earth goods, the Gen Azim Gündüz Caddesi is the best place for clothes, and the bit pazari on Ozelellik Sokak is good for browsing through junk. The Benadam art gallery remains in Moda district with many other foreing cusines, restaurants and cafes. Haydarpasa: To the north of Kadikoy is Haydarpasa, and the train station built in 1908 with Prussian-style architecture which was the first stop along the Baghdad railway. Now it is the main station going to eastbound destinations both within Turkey, and international. There are tombs and monuments dedicated to the English and French soldiers who lost their lives during the Crimean War (1854-56), near the military hospital. 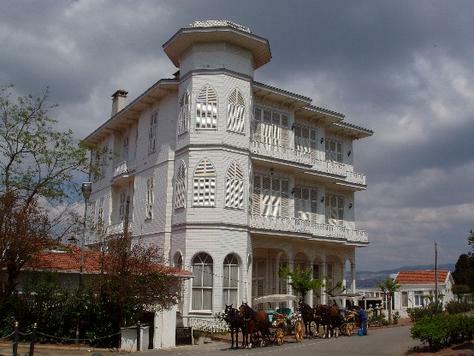 The north-west wing of the 19th Century Selimiye Barracks once housed the hospital, used by Florence Nightingale to care for soldiers, and remains to honour her memory.